Keyword stuffing, on-site SEO, Panda Update, Penguin Update, meta tags, backlinks, PageRank, content marketing, web master tools, long tail, ABOVE THE FOLD and big data. If you hate the mention of any or all of the words listed above, this blog is for you. They’re not complicated – they’re misunderstood. So I decided to make it easy to understand whether you’re a beginner or just an avid reader of marketing blogs. Behold, KEYWORD TARGETING EXPLAINED IN COMMON TONGUE. What if over a million nice guys are exactly the same? However, what happens when all the guys seem to look exactly the same? That makes it close to impossible to make a thoughtful choice when perusing the room of a million nice guys. When you’re a quality woman, it’s your right to be choosy and wading through a sea of men is time consuming. How on earth could you be expected to make the right choice? You’re either going to have to give up on parties altogether, or wait for someone you trust to recommend the right guy for you. And that’s exactly what Google does! Instead of leaving you panicking at the millions of potential dudes, Google is much like a solid friend who wants to make sure you make the right selection. All these guys may look the same, and Google helps you narrow down the sea of suitors. Google isn’t fan of unoriginal guys (and neither are you!). You know the type, copy-pasted unoriginal bros hard up for unique content. How would you feel, then, if all the guys at the party were wearing different shirts, but they all were saying the exact same thing: “I am a HUGE fan of Ariana Grande!” Well, that sounds pretty dreadful too. Google takes your high dating standards into account, and it’s not going to leave you fending for yourself. You are seeking out a guy who has real substance, real value – and Google is there to help you find him. Google’s got the list of the million plus guys at the party, and it knows how to differentiate between them. At a party of this caliber, it’s hard to keep track of all the guys making their way through the door, but with Google – you get your research done for you. It may not tell you everything you want to know (Is he a cat or a dog person?) but it is effective enough to help bring the most swoon-worthy suitors to the top of the pack. Most ladies claim to be attracted to “unique” guys – but the way we measure being “unique” is all a matter of personal opinion. When a guy stands out, it is really just because he is different from the rest of the crowd. Beauty is, as cliché as it sounds, in the eye of the beholder. You want a guy who dresses like a centerfold in GQ, not some tacky Sally-Ann enthusiast. You want someone STYLISH (think: keyword). Would you pick the guy who claims he’s STYLISH 3 times or 5 times? He’s just found out that you are looking for a stylish guy – and now it’s time to create a game plan to win your heart. He’ll probably feign his best idea of “stylish” by throwing on a tight-fit blazer. But with a million other guys in the room, how the heck are you supposed to find him? 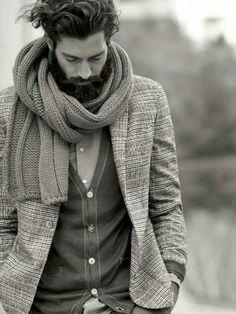 He quickly debates whether he should just start shouting “I’m STYLISH!” at the top of his lungs, then he thinks “Maybe I could just repeat it like a mantra over and over again,” but he has common sense enough to know that would be downright annoying. If a guy were to just continue to say, “I’m STYLISH”, on heavy rotation throughout the party – that’s a lot like old school SEO. It’s what we refer to as ‘keyword stuffing’. A lot of people still get caught up in how many times a keyword needs to make an appearance on each web page. As a beautiful, intelligent and funny woman – you don’t have time for this kind of amateur malarchy. You’d much rather take your time to consider qualities that are more valuable. So, although being GQ stylish is important to you, there are probably a few other words that come to mind when weighing in on finding the perfect match. But why then did you lead with looking for a Stylish guy? You are seeking more than just a stylish guy. If we’re going to roll with this dating analogy, you have to start thinking beyond just the keyword, otherwise you would have skipped this party altogether and just started swiping right on Tinder like the rest of us Millennials. You want to be pampered, you want a man your friends are going to adore and you want a man who can make plans – all the while being stylish. So you have to start thinking about the right kind of guy in stylish clothes. When you use the term stylish, you can easily make a lot of assumptions about this type of guy. We might assume that a stylish guy is well off, or well organized – so when we use a keyword like stylish, it comes with it’s own sub-set of assumptions. Every keyword has a story behind it. As an example, if someone were looking to build a new website, they would begin searching on Google for “new website” – but that can come up with two results. When searching, you have to differentiate between whether a new website is actually the best way to solve a pain point, or a new website does not solve ALL the pain points of the user searching. For example, the user may need a new website due to a slump in digital marketing sales. In that case, the best solution would be an improved digital marketing strategy first, rather than just creating a new website. But what if the same user came across a page that understands exactly what he needs? That is how going beyond just the keywords works. Web pages need to go beyond user expectations so they can stand out amongst the competitors and not be easily forgotten. Time to target the users, just like Google! Optimizing Meta-tags, long tail keywords and optimizing backlinks are just a few tips common in SEM and SEO. If you tailor your Meta-tags perfectly, that still doesn’t guarantee that your website will wind up at the top of your Google search results even accompanied by your main target keywords (think: stylish). Google, although so amazing, is not perfect (yet). You can put together a comprehensive SEO strategy but Google doesn’t take into consideration all the hard work and research you did to get optimized. The user experience is always at the forefront of Google’s process. Luckily, they want to help out. And we should be listening! If you’re dead set on conquering Google, you may have to follow ALL of these SEO tips: Google uses Over 200 factors, Google is changing their algorithm constantly, for example, in 2012 they updated 665 algorithms. It’s going to take some time to get to that coveted top ranking in Google. It’s all a really clever little game that we play between web pages and search engines. It’s kind of my hobby, and I love this stuff – but for others it seems pretty complicated. There are a lot of great companies that are awesome at marketing but are missing out because they are not thinking about SEM and SEO. And now that you’ve read this awesome blog, let’s hope that’s no longer the case for you. If you liked this article, please check out my technical SEO basic post. Read original article here: My Loud Speaker.